I am using Ledger Nano S hardware wallet to store my bitcoins. Last week, for an experiment, I decided to send bitcoins to hitbtc currency exchange with zero btc fees. I was wondering how many hours will it take to transaction to be completed, but it turns out that transaction will never be completed with zero fee. 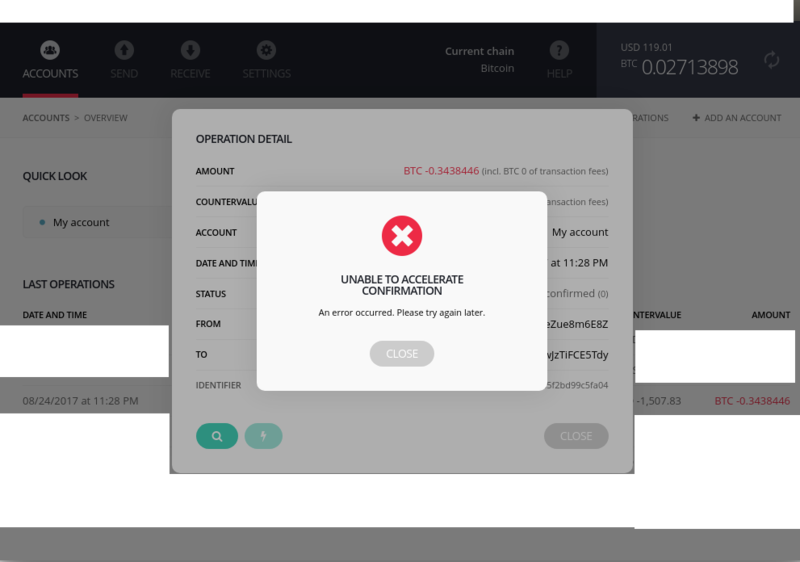 I try to accelerate the procedure with ledger nano s option, but it failed many times as well. 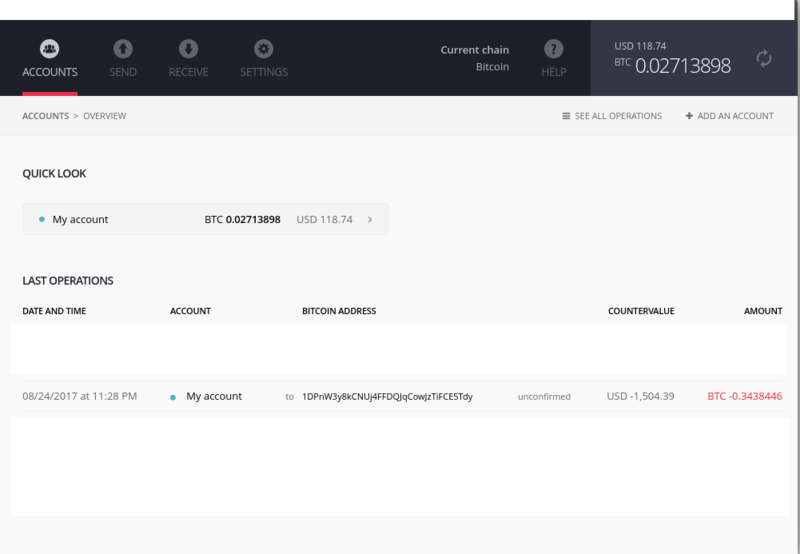 I am looking at my balance in blockchainfo, it looks like I have all the coins in my wallet, is not sent anywhere, but I cannot see the same balance in my ledger wallet. So does anyone know how can I access to my bitcoins? Thanks. There are a few services that can accelerate Bitcoin transactions. According to the Bitcoin wiki, PushTx seems to be reliable. Not the answer you're looking for? Browse other questions tagged bitcoin-core transaction-fees confirmations ledger hardware-wallet or ask your own question.